After their first three singles reached major recognition and heavy rotation at one of the biggest rock channels in Norway, Radio Rock, and air-play time on national radio NRK P3, the Bergen-based band Vöödöö is continuing with their heavy soul rock sound! 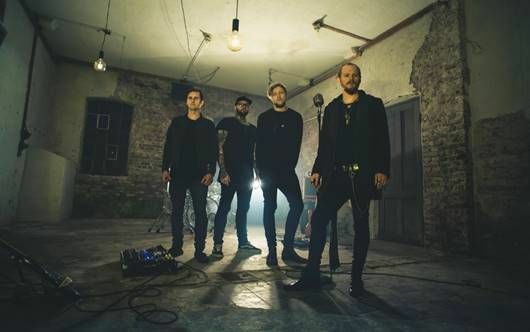 Described as the gang that writes “choruses as big as skyscrapers” by Norwegian daily press, the band will release their debut titled “Ashes”, on September 14th via Indie Recordings. Losing someone close to you and experiencing the pain, sorrow and heartache of grief is undoubtedly one of life’s biggest defeats. Being thrown into the dark abyss of denial, anger, depression and hopelessness… A soul shreds into pieces and ultimately turns into ashes. But sometimes we need to let it all burn away and turn to ash, because only then it is light enough to be blown away. Deeply rooted in Giuliano’s (drummer) personal experiences coping with sorrow, the album “Ashes“ is a a journey through the pain and towards the light at the end of the darkest tunnel.